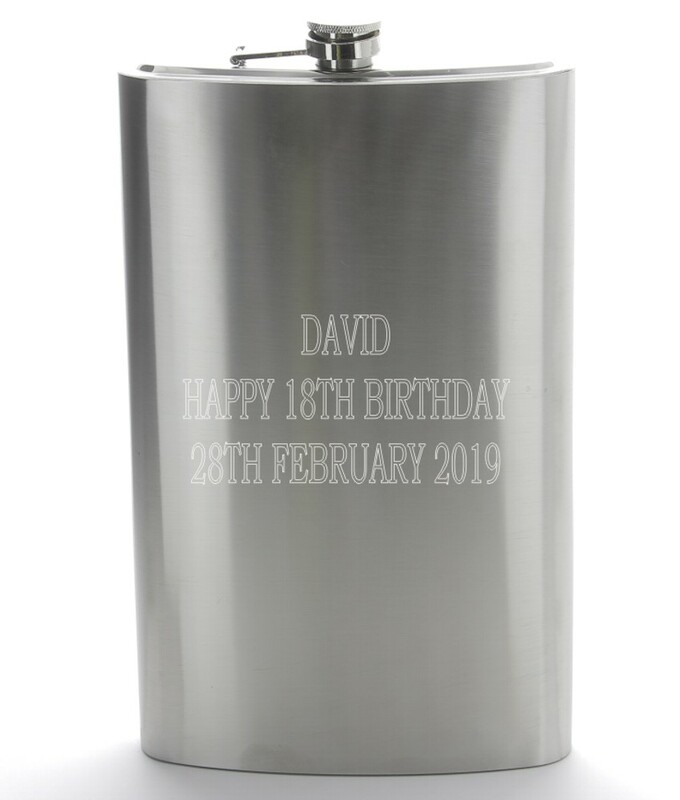 Personalised Engraved Giant Stainless Steel Hip Flask. This amazing hip flask measures a massive 30cm tall and it holds over 3 pints (50oz)!! Beautifully finished in brushed stainless steel, it has the looks to match it's GIANT size! Perfect for those that like a large one! All you need to do it let us know the text you would like engraving on the front of the hip flask. These are perfect gifts for the Best Man, Usher, Father of the Bride/Groom on your Wedding Day, they also make great Birthday and Christmas presents.